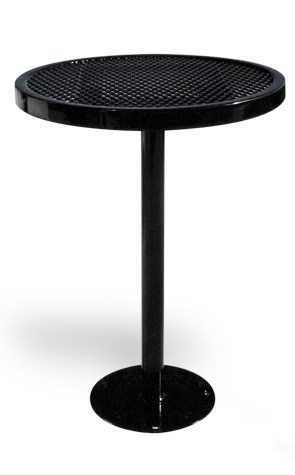 Perfect for your patio, caféor any canteen environment, this durable thermoplastic coated pedestal 30" round cafétable will be a long lasting investment. Choose in-ground mount for a permanent installment with maximum defense against theft or surface mount for stability with the option to relocate the table. Table top is available in a highly durable, weather resistant Polyethylene finish with a matte painted feel with light texturing. 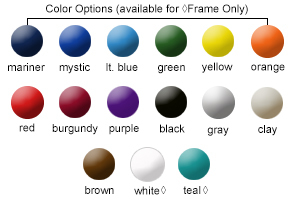 Table base is powder-coated so you can mix and match from a variety of vibrant colors shown below.